Japanese Restaurant Minneapolis: Valentine’s Day is Almost Here! It’s hard to believe that February starts tomorrow, and that also means that Valentine’s Day is only two weeks from today! At Moto-i in Minneapolis, we’d love to have you and your special someone visit our Japanese restaurant for this year’s night out. We have a great selection of food and drink to choose from, and you and the one you love can spend an evening enjoying each other’s company. Dinner can be early so that you can catch a later show, or you can come by after you’ve been out on the town for a while. We’re open until 2:00 a.m. every day of the week! “Dinner and a movie” might be somewhat of a cliche, but many couples like getting out whenever they can, and Valentine’s Day offers an opportunity to do just that. You can hire a babysitter and head to the nearest multiplex, or you can mix things up and catch a live show. Perhaps there’s a play or a band that you’ve been wanting to see for ages, and your special someone surprised you with tickets this year. Whether you’re seeing the latest blockbuster, a new indie flick at the local arthouse cinema, or catching a live show, make time to stop by for dinner and drinks. Our staff will make sure that you have a memorable night! Perhaps you’ve just met someone and you’ve finally arranged to have a first date. You’re not sure where to go, but you know that you want to make the night as special as possible. Our restaurant offers a casual, relaxed atmosphere where you can get to know each other while you enjoy authentic Japanese cuisine and sake that’s brewed on-site. First dates can be nerve-wracking, whether you were the one who was asked or the one who did the asking. Meeting at a restaurant can help break the inevitable tension, and it’s a great alternative to going to a movie or a show where you can’t really talk to each other. If neither of you have tried traditional ramen before, then you can share the experience of ordering it for the first time! Set up on a Blind Date? If you’re someone who has friends who are always pressuring you to date, then you may have finally given in this year and had them set you up on a blind date. As you’re thinking about places where you can meet your mystery date, why not choose Moto-i? We have a spacious restaurant and ample room at the bar, so you can get together for a quick drink or sit down for dinner. Blind dates can be a bit scary, and hopefully your friends have found someone with whom you’re compatible. 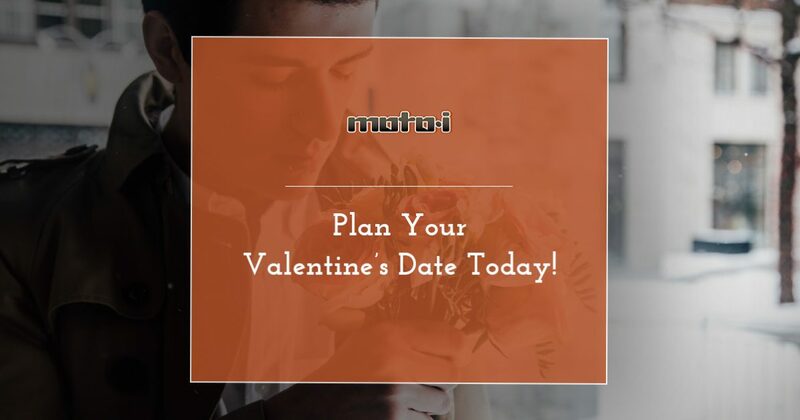 If you decide by the end of the night that the relationship isn’t worth pursuing, at least you had a Valentine’s Day where you spent the night out and had some delicious food! If you’re planning your Valentine’s Day date this year, then contact us today to make a reservation, or visit OpenTable to reserve a spot online.